Join our mailing list to receive our semi-annual newsletter, The Scenic, and the Foundation’s Annual Report. 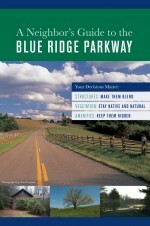 Each publication features updates on our initiatives and programs, events, milestones, and more to keep you connected to the Blue Ridge Parkway. The annual report highlights all the improvements you’ve made possible with your generosity. 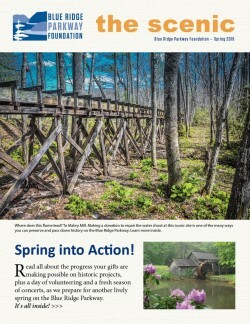 Our e-newsletter delivers monthly updates on how your dollars are helping the Blue Ridge Parkway, community events, historical tidbits, and our signature programs. Don’t miss the latest news about this special place. 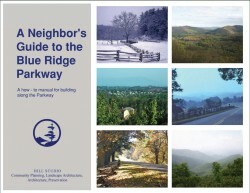 More than 4,000 property owners can call the Blue Ridge Parkway their neighbor. Because of their proximity, they are vital to helping maintain the beauty and integrity of the scenic route. That’s why the Foundation worked with landscape architect David Hill to produce two publications that offer property owners and developers comprehensive advice for how to be good Parkway neighbors.